Swansea Marina is situated in the the city’s historic award winning Maritime Quarter and combines the vibrancy of a city centre location with the tranquility of a waterfront and beach resort. Swing bridges and locks, yachts, boats, listed buildings and sculptures all add to the atmosphere as do cafes, bars, shops and restaurants. Alongside and linked by an iconic Sail Bridge, is SA1, a £138million dockside development. Marina or SA1, there’s so much to do all within walking distance. Water sports on the beach, sailing lessons, cinemas, bowling and nightlife. The City Centre is a vibrant hub with over 230 shops and a fabulous market that’s home to all sorts of local delicacies. The LC, a superb multi-million pound leisure complex and water park is literally a stone’s throw away, as is the National Waterfront Museum telling the story of Wales’ industrial and maritime history, Swansea Museum, the oldest museum in Wales as well as The Dylan Thomas Centre which hosts a permanent exhibition on Dylan Thomas. For sports fans, both Swansea City FC and Ospreys Rugby Club share the majestic Liberty Stadium a short drive away. Viv began her career working in the New Homes Industry for over 20 years, she joined the busy Marina Branch in 2016 as Office Manager overseeing all aspects of residential sales, progressing, valuations and Land and New Homes. Viv can advise you on the price you would expect to achieve in the current market, or give you advise if you are selling land or looking to build a property. Viv enjoys reading and spending quality time with her Granddaughter. Laura has worked for Dawsons for over seventeen years, having worked for our Sketty and Swansea branch Laura joined our busy Marina Branch in October 2018, we welcome Laura's wealth of experience to our branch. In her spare time Laura enjoys the gym, running and holidays in the sun. Lisa began her property Career with Dawsons as part of Land and New Homes team in 2006 as a new homes sales advisor. Now based in our Marina Office, Lisa our Senior Negotiator and Valuer utilises her years of experience and wealth of knowledge of the industry, providing our clients with property marketing strategies, Lisa can give true and honest advice on the best price to market your property and information and advice if your property has a short lease. A former professional dancer Lisa now enjoys swimming and spending time with her family. Laura is our newest member of staff to join the Marina Team. Having previously been in retail Laura has experience in Customer Service, and dealing with customers on a daily basis. Her warm and friendly personality makes her a popular member of staff. In her spare time Laura perform locally as a country/pop singer. Leon is our Residential lettings office manager for our Marina department. Leon has several years of experience and a wealth of knowledge in the lettings industry. Leon is customer focused and believes in maintaining a high level of customer service. Leon is also a Dj in his spare time and has had the pleasure of playing to audiences throughout the UK, Ibiza and Dubai. Laura started her career in Residential sales in 2004 progressing to complete her technical sales award and NVQ3 in residential sale. She now holds the position of Senior Administrator and Negotiator delivering outstanding customer service, going above and beyond customer expectations. In her spare time Laura enjoys going to the gym and spending time with her family. Antonia began her employment with Dawsons in April 2018 joining our Marina team as our letting’s negotiator. In her spare time, Antonia enjoys going to the gym and spin classes in the evening. Antonia is also an enthusiastic traveller and recently returned home from travelling Australia, Malaysia, South East Asia and Japan. Marcel joined our Marina team in August 2018 as a Saturday negotiator working with both our sales and lettings departments within the branch. Marcel moved from Antwerp, Belgium to London in 2004 and made a career as a senior project manager in market research. Marcel gained an interest in property investing and actively keeps up-to-date with the property market around the Swansea area. He has a good insight knowledge of the rental market, as he has a few residential lets himself. Lisa Bevan is our Lettings Administrator. She joined the busy Marina branch in February 2018. Lisa has 15 years as a Restaurant Proprietor and is very customer focussed and aims to deliver an excellent standard of service at all times. In her spare time Lisa enjoys long walks with her family and dog. 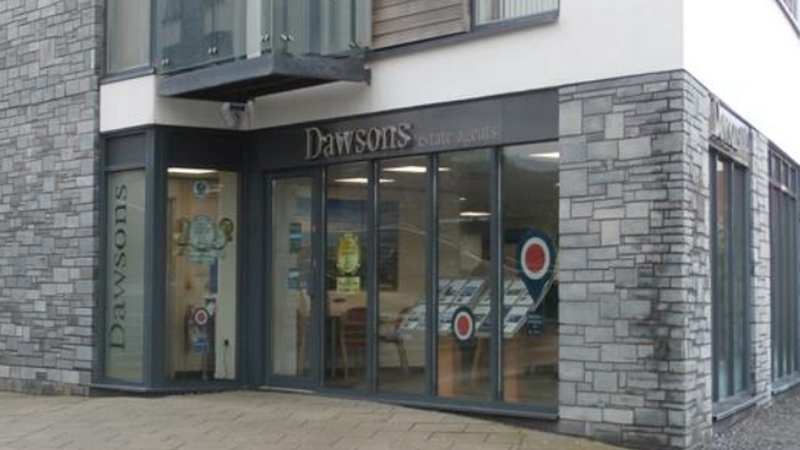 Lauren joined Dawsons in October 2018, as our lettings administrator in our Marina branch. Lauren comes from an administrative background, as well as studying advertising. She also brings with her, experience within the lettings trade from another well known agency within south wales having been a negotiator/administrator within 3 local branches. When not in work you can find Lauren enjoying time with her 5 sisters and relaxing in her spare time. Janey joined Dawsons in 2006 as part of the team who launched the Land and New Homes Department, now in it’s twelfth year, and has since been involved in all aspects of the department.